It's time to become accountable for what I'm going to work on in the first quarter of 2015. Yes, I know that sounds hilarious coming from me, when do I ever achieve what I set out to do? But hey, sometimes I finish something and sometimes it's even from my FAL list! 1. Finish the Cuzco quilt. 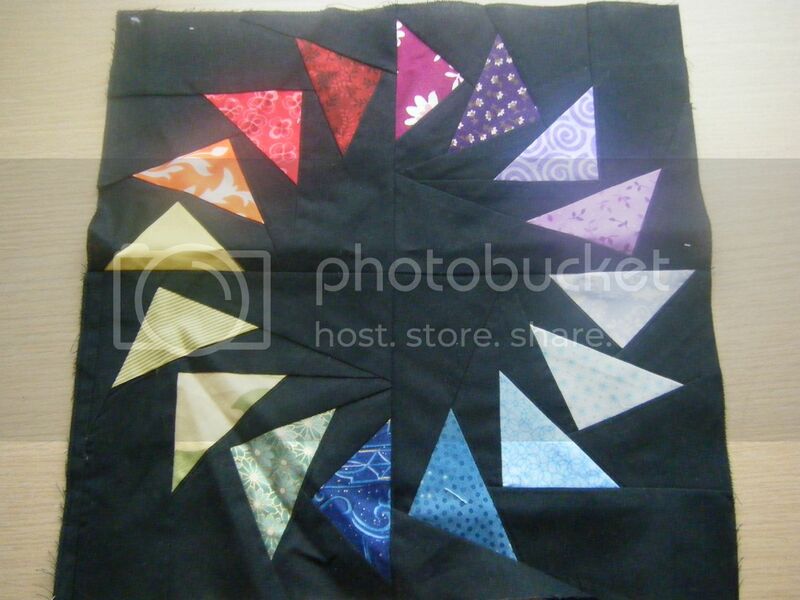 Currently this needs borders adding, then sandwiching, basting, quilting and binding. So not much then. 2. My nephew will be 3 in March and I'd love to give him the quiet book I made a start on. Number 1 task for this is to buy some velcro! Then I can get started sewing the 3 pages I have cut out. 3. 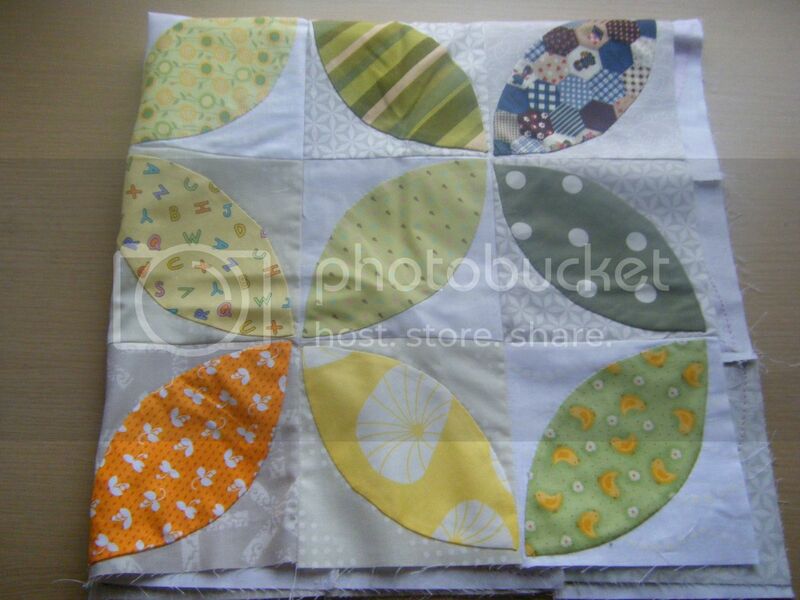 I need to FMQ my And Sew On quilt. 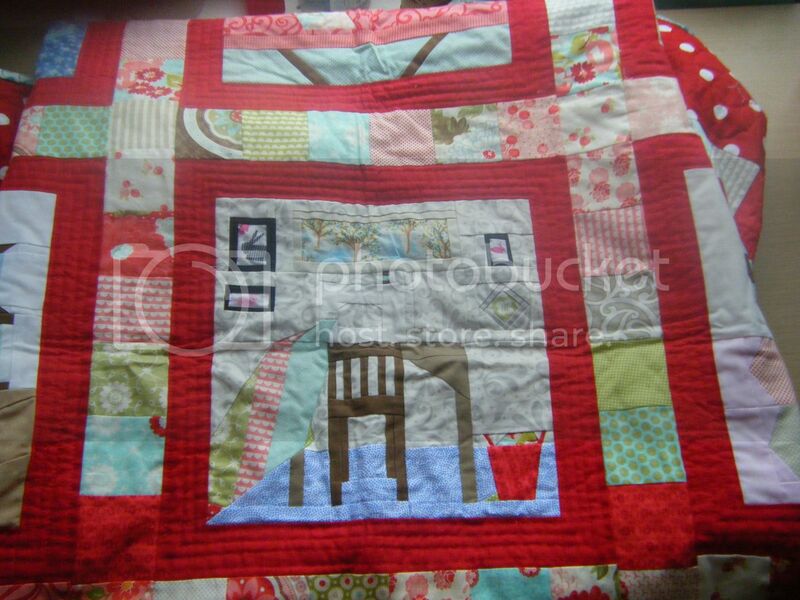 It's quilted in the red borders and already bound, I just need to add some quilting to the blocks. 4. I want to make this circle of geese block into a trivet. The two we have are so useful but get dirty often and so end up in the wash and we end up making do with a tea towel. It needs bringing up to a useful size with borders, then quilting and binding. 5. This orphan block from the Sew Kitschy BOM is destined to become a trivet too. 6. I think the Orange Peel QAL will finish soon (I've lost track!) so this rather large mini quilt needs quilting and binding. 7. It would be nice to finally get the latch hook rug bound and on the floor somewhere. Actually it is already on the floor, in my craft room, but it could do with being finished first! 8. And finally, I'd like to get Save the Stitches finished. I'm considering entering it into the embroidery category at the Quilt and Stitch Village in Uttoxeter in April, so it needs finishing and framing by then. Quite a short list this quarter for me. 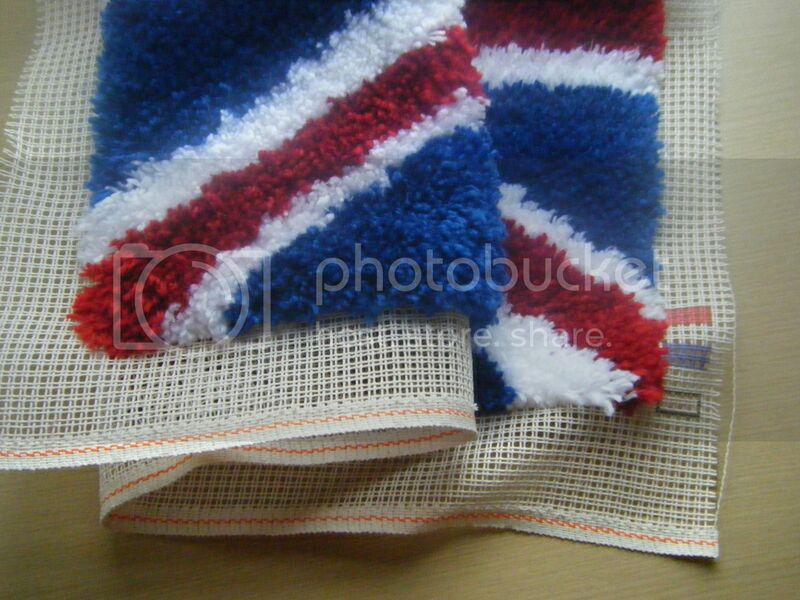 I'd be happy if I mange to finish Save the Stitches and the two trivets, anything else will be a bonus. At least knowing your priorities with all these will help you decide which you need to concentrate on! nice. Have fun with your craft works, can't wait to see that little book finished. Oh yes, enter your embroidery definitely! That embroidery piece is beautiful. You should certainly enter that a show. I think those quiet books are so neat, good luck finishing! 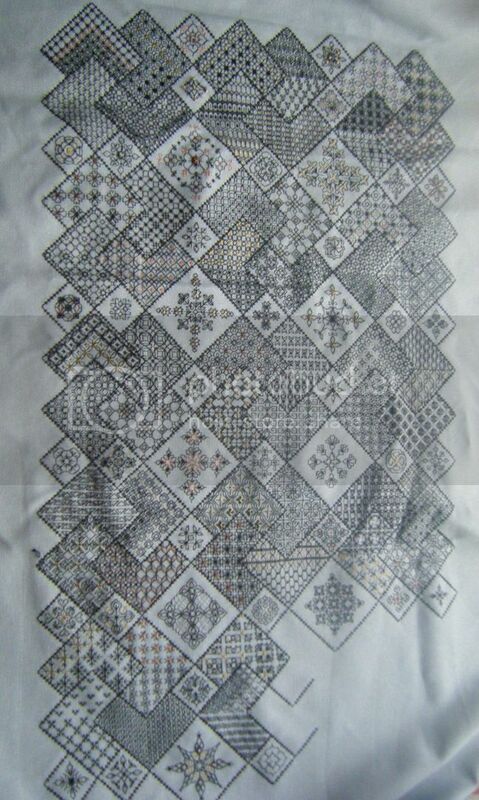 You have some amazing quilts in the works. The Save the Stitches project looks so intricate! Great projects will follow your updates. What a great year this will be. 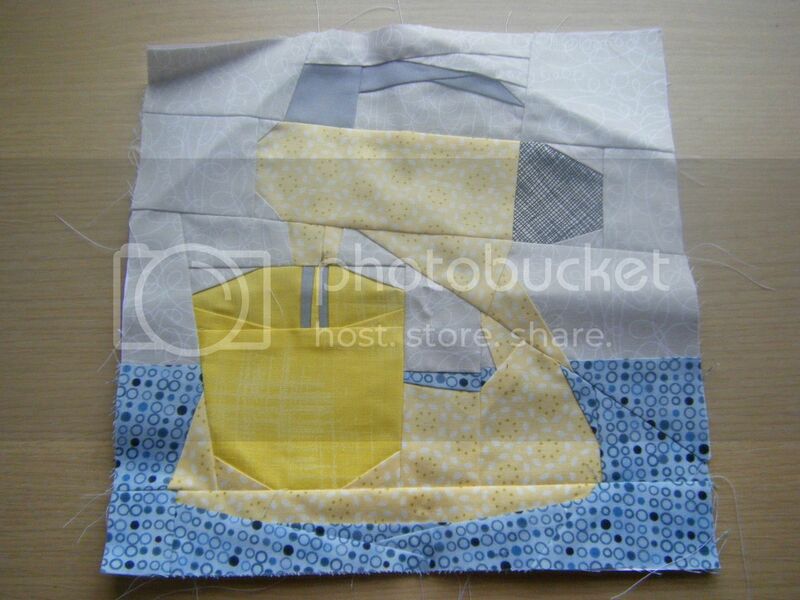 I'm glad to see that I am not the only one that will be having non-quilt items on the FAL list! Your projects look great. Good luck in completing as many of them as you can. I love the idea of making orphan blocks into trivets. Brilliant! Great to do list! You won't get bored, that's for sure. Those are all lovely projects! It will be so nice to get them finished! I can't wait to see the Save the Stitches piece done... it is going to be absolutely stunning. I've got to get my list together as I've decided to join the 2015 Finish Along this year. All of your projects deserve to be finished. I know it's easier said than done as I have a few of my own out there in limbo Iand. I especially like the Cuzco quilt, it looks wonderful now but with the boarder and other finishing touches it will look AMAZING! Good luck with the challenge! The Cuzco quit is beautiful - did you make up the pattern? Your projects look amazing - I love the Save The Stitches one in particular - is it entirely handstitched? Good luck with your finishes. Save the Stitches is stunning.